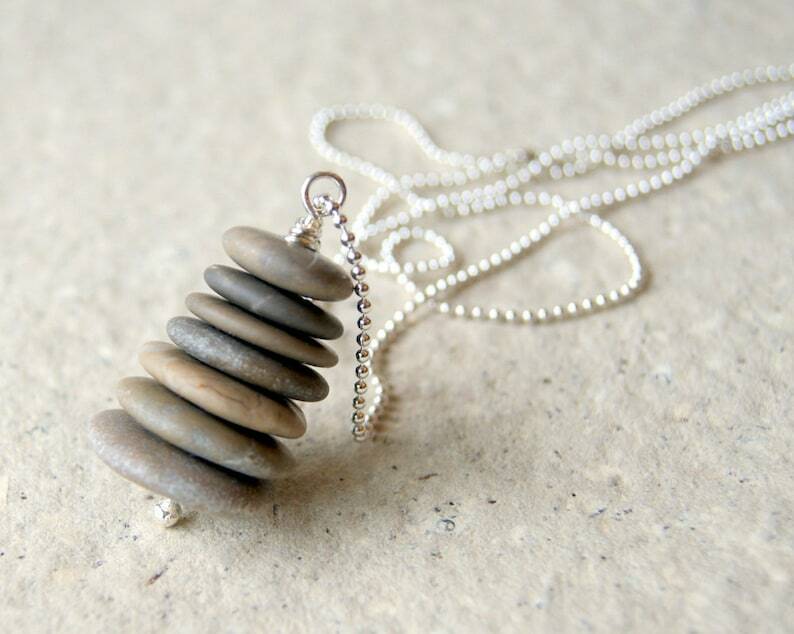 Beach stone necklace comprised of seven smooth, stacked and drilled beach stones. The stones hang from a silver plated ball chain. Choose between the mini ball chain (1.5 mm) or the NEW faceted ball chain (thicker chain - 2.4 mm). This one can be seen in the last photo. This is my stock photo for this necklace but each will be as unique and beautiful as this one. An old favorite making it's way back to the shop. Perfect sale... fast shipping... great communication... and gorgeous pendant. Thank you- I love it!